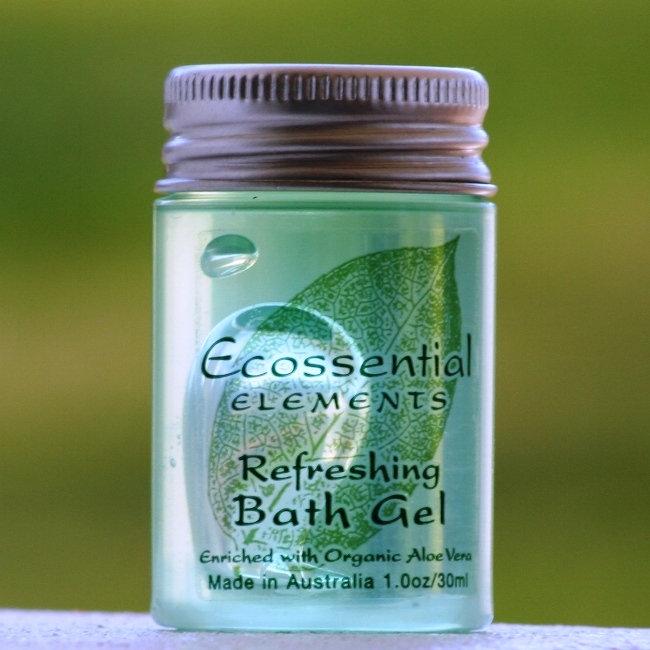 Let nature greet your guests with Ecossential Elements hotel amenities. Nourishing bath and body care formulations feature a citrus blend of Eucalyptus and Lemon Myrtle and are enriched with Organic Aloe Vera extract. 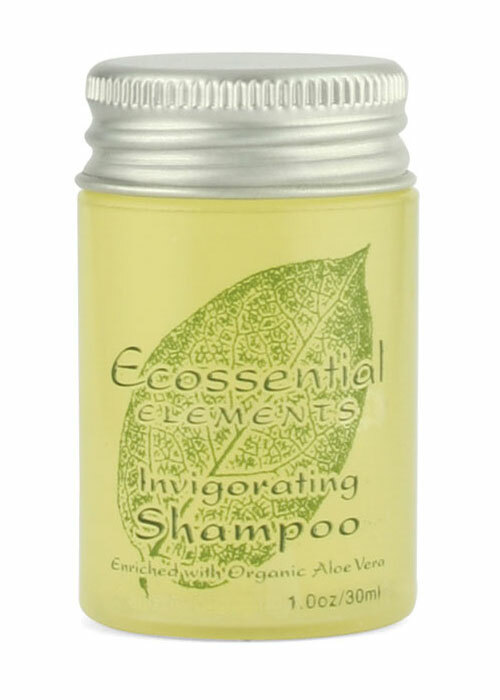 Ecossential Elements has been inspired by the wonders and freshness of nature. This hair shampoo pampers both the guests and environment. Ecossential Elements feature biodegradable plastic packaging with ERP, hence it is environment friendly. The Ecossential 30ml Hair Shampoo includes rosemary extracts to improve production of sebum in the scalp and apple extracts to restore the shine. Sold in a carton of 300. 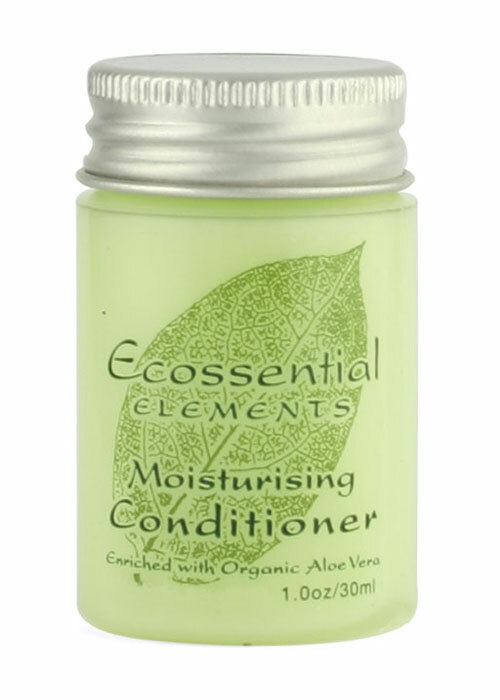 30ml Moisturizing conditioner from Ecossential with metal cap. Get in touch with your environmental spirit from this range of skin and hair products that have been enriched with organic Aloe Vera and botanical extracts to cleanse, purify & reveal your most natural beauty. It is sold in case of 300. 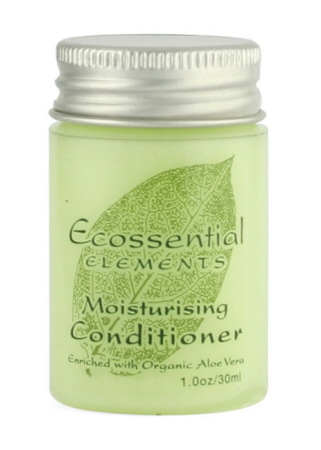 The Ecossential Elements 30ml Bath & Shower Gel is suitable for dry and irritated skin type. This shower gel contains chamomile that soothes the skin. It is enriched with organic Aloe Vera, natures own theraputic compound, designed to leave your skin feeling soft and refreshed. 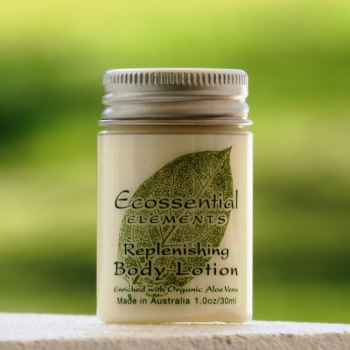 Ecossential Elements 30ml Body lotion with metal cap. This body lotion combines Lanolin, Glycerine and natural oils to replenish and refresh your skin. 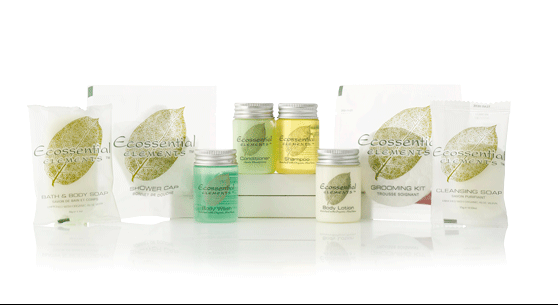 Combined with the same refreshing Ecossential Elements fragrance unique to this quality range of products. Sold in carton of 300. 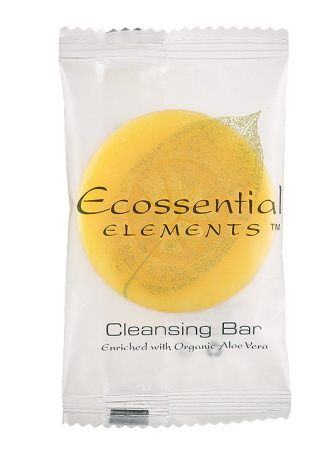 Ecossential Elements Cleansing Bar Soap is available in 16 (Facial Soap) or 28 (Body Soap) gms. The 16g sachet facial soap features complete natural vegetable base. The little sachet soap can be used as both hand soap and facial soap. 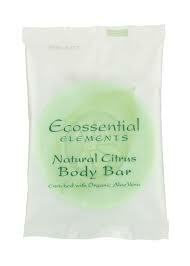 It contains Aloe Vera extracts and fragrances of citrus, apple and chamomile. The 28g Sachet Bath Soap from Ecossential Elements has 100 per cent natural vegetable base. 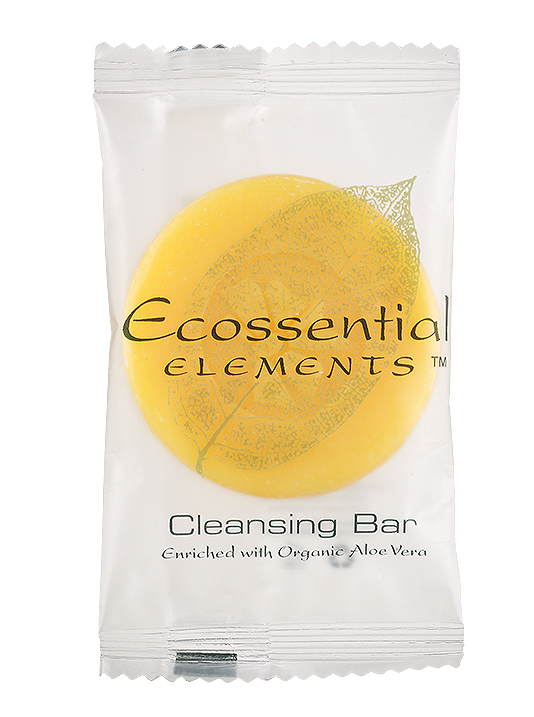 This bath soap contains extracts of Aloe Vera and fragrances of chamomile, apple and citrus. These both have frosted flow wrap package which provides a perfect modern look and confidence of the sealed pack. Provide your guests a good preference of small bathroom accessories to make their stay more comfortable. Ecossential Elements Shower Cap is sold in carton of 250. 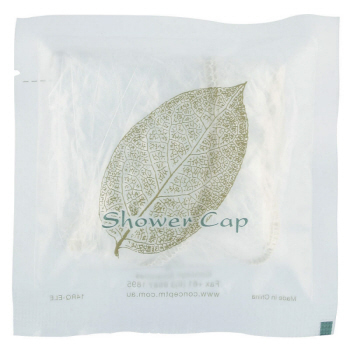 These handy, useful little shower caps are just a small expense to show your guest you care for their needs and it also compliments prefectly with the grooming kit. 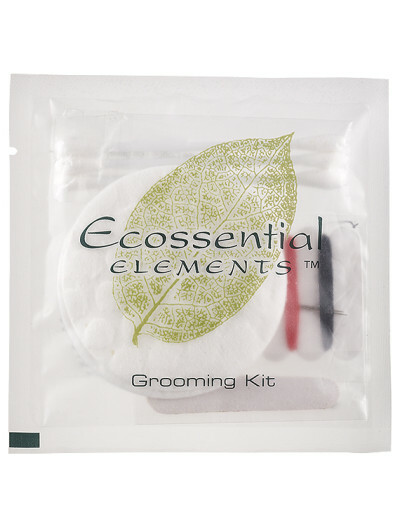 This handy grooming kit from Ecossential Elements includes make up removal wipes, cotton buds, a nail file and a sewing kit. This item compliments prefectly with the shower cap. By providing this to your guests, it shows to them that you thought and care for their needs. Sold in carton of 250.